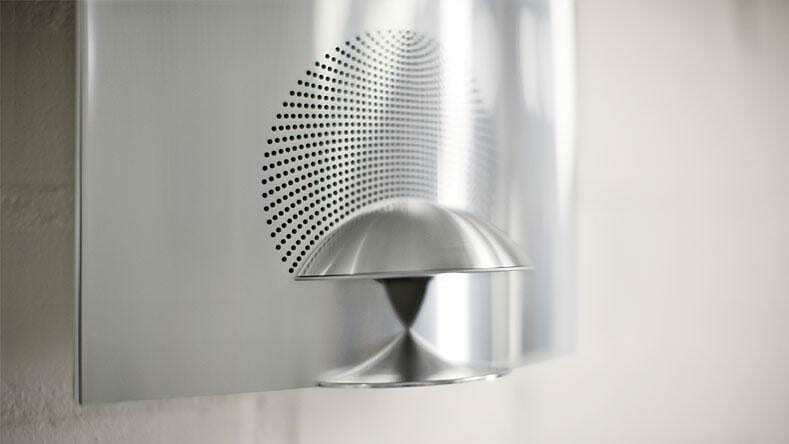 HomeBlogTechnologyBeoLab 12 Speakers by Bang & Olufsen. 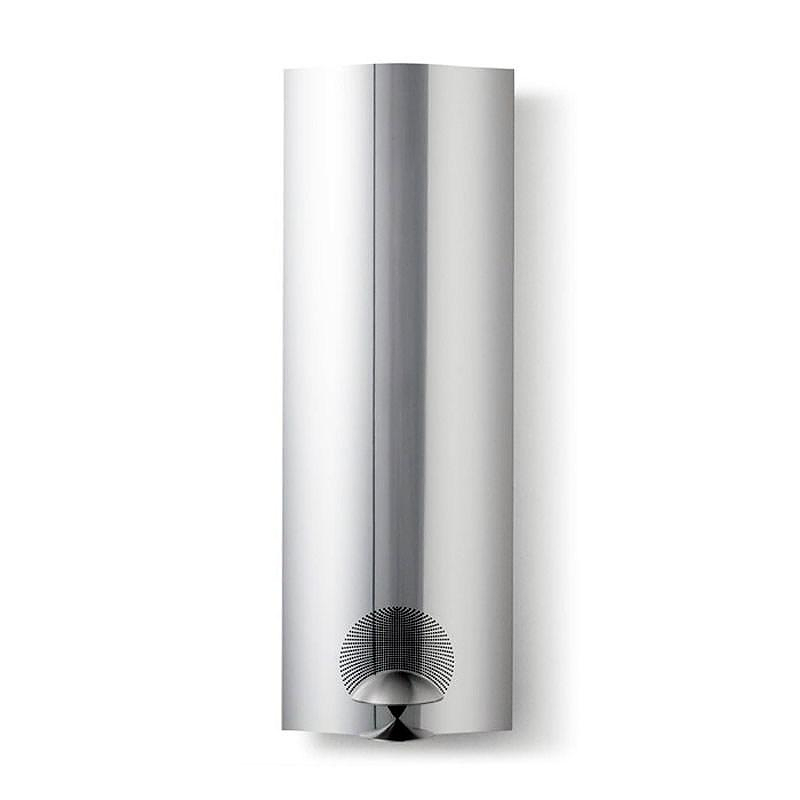 The new BeoLab 12 Speakers designed by David Lewis for Bang & Olufsen are fully digital wall mounted loudspeakers that produce sensational sound in a graceful, minimalist style. 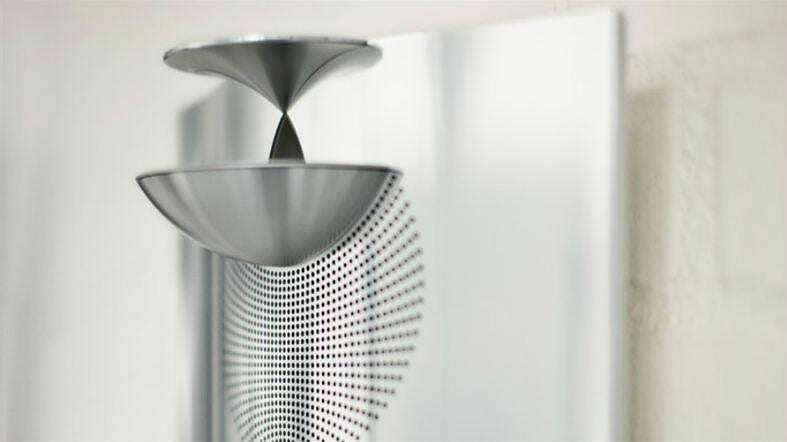 By experimenting with shapes and sizes, Bang & Olufsen’s engineers achieved a perfect synergy between an aesthetically pleasing design and acoustic performance. This revolutionary loudspeaker cooperates with the wall it is placed on, transmitting treble and bass sounds with outstanding precision and depth. 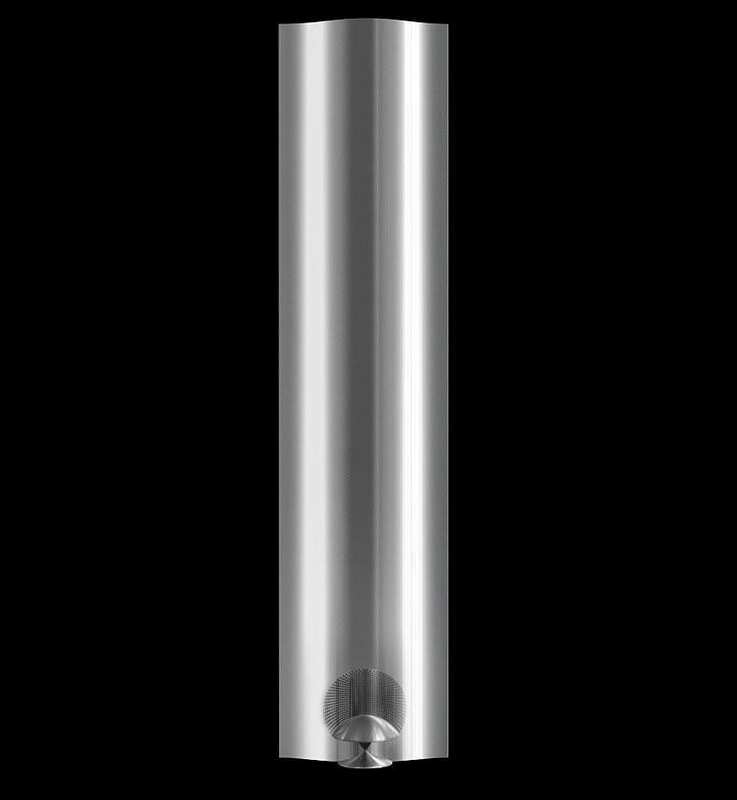 The result is a long and slim loudspeaker that performs to perfection, even in low volume environments. BeoLab 12 is characterized by a sleek sculptural design that forms a reassuring wave pattern. The effect of this wave design is a flat-form loudspeaker that beholds powerful capabilities, maximizing every inch of the slim space. 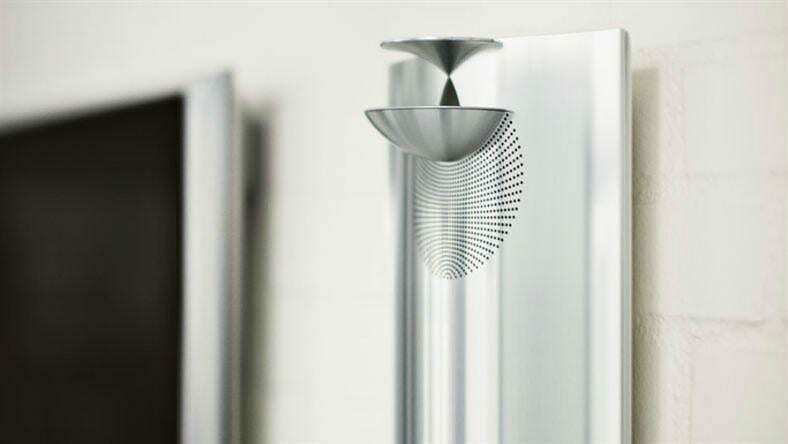 The BeoLab 12 speakers are loaded with the latest groundbreaking Bang & Olufsen technologies. 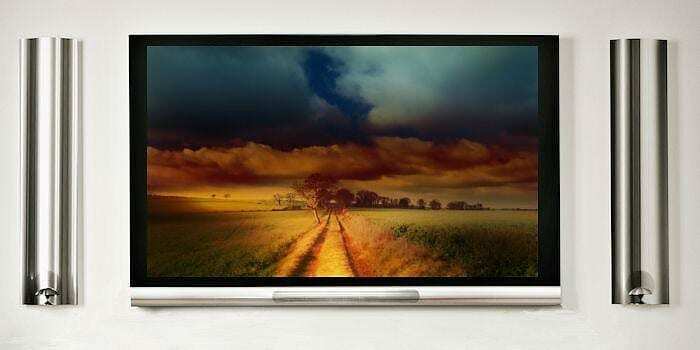 They include Bang & Olufsen’s own ICEpower class D amplifier technology in a new design. 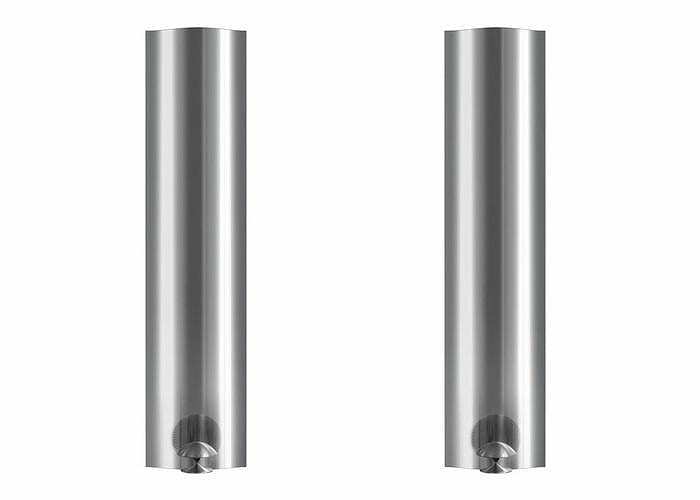 ICEpower – a Bang & Olufsen patented technology – stands for Intelligent, Compact and Efficient power conversion and is one of the secrets behind the impressive sound performance of Bang & Olufsen active speakers. Due to the limited space and the requirements for high peak power, a new amplifier and a matching power supply were developed. This new combo comes in a small form factor size and produces an impressive 480 watts in total. BeoLab 12 also boast a ¾-inch Acoustic Lens for the treble, a 2-inch midrange unit and two 6.5-inch flat CosCone woofers for the lower frequencies pointing towards the wall. 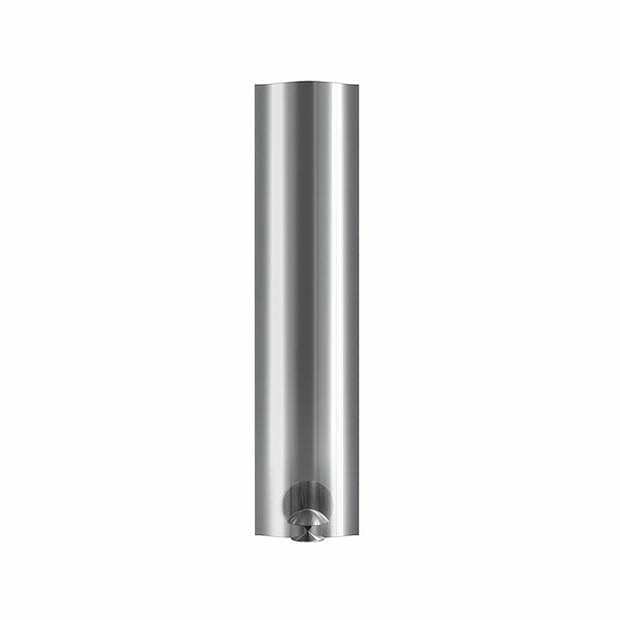 The 2-inch aluminum cone gives a precise sound, which complements the sound of the acoustic lens. 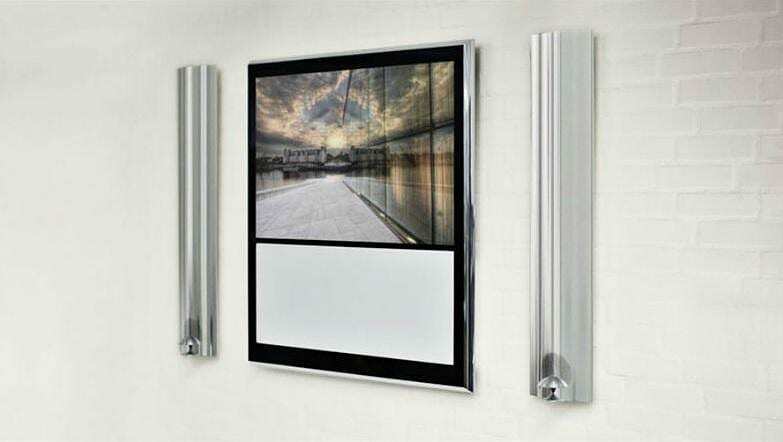 The speakers can be mounted with the Acoustic Lens facing upwards or downwards depending on preference. As the optimal sound is achieved when the lens is placed at the same height as your ears in the listening position, you can place BeoLab 12 with the lens up or down. The loudspeaker design is made so either position will look great. A three-position switch to accommodate for placement influencing the performance of the loudspeaker is placed in the socket panel on the rear. The wave pattern creates a structure that is inconspicuous and sleek. But its compact shape does not sacrifice performance or acoustic perfection. BeoLab 12 exploits every inch of the slender unit to drive out incredible, multi-dimensional sound. With the Acoustic Lens Technology handling the treble notes and helping disperse the sound waves evenly throughout the room, the BeoLab 12 maximize space in front of the loudspeaker with optimal sound, constant tonal balance, minimized floor and ceiling reflection, and a deeper sense of space and realism. The rear section of the wall-mounted BeoLab 12 is open where the woofer is placed, so two woofers play directly into the wall. Because these bass units play directly into the wall – away from the listener – you get an acoustic benefit. Any audible distortion from high frequency sounds is removed. 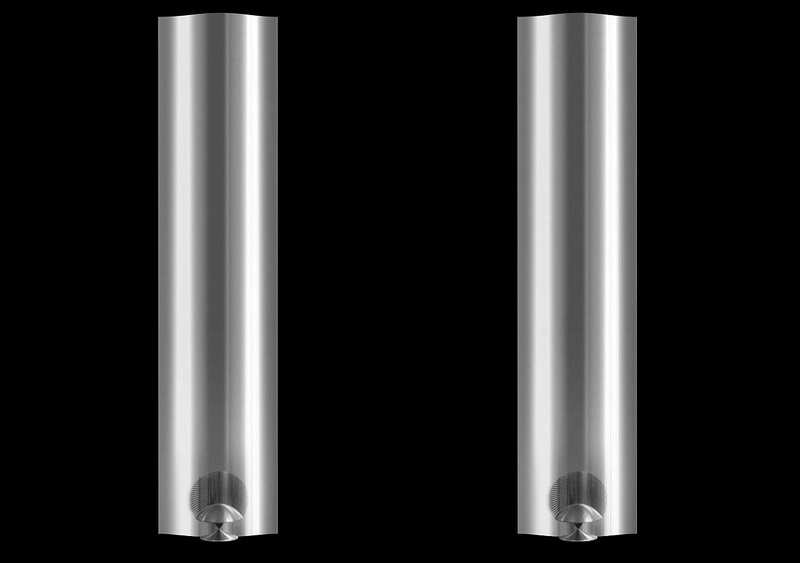 BeoLab 12 speakers are sold exclusively through authorized Bang & Olufsen dealers and are going to be available within the next months, early Spring 2012. The price tag is rumored to be at about 3000€ per pair.